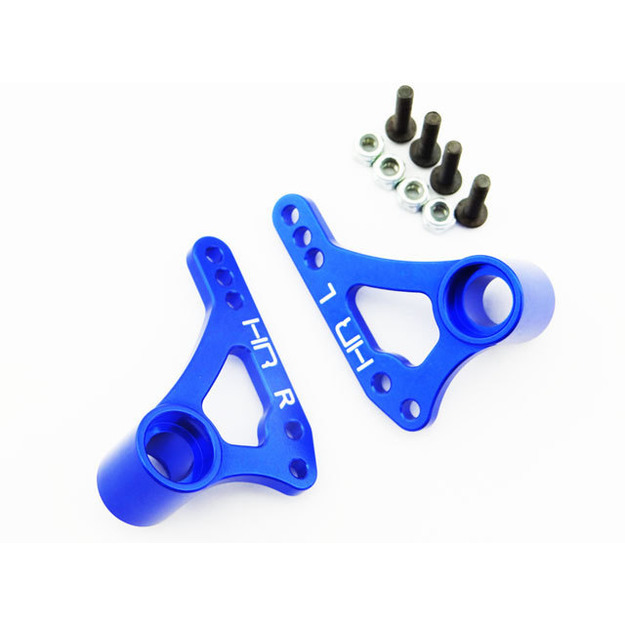 Hot Racing aluminum rear multi-mount rocker arms for the 1/10 Traxxas E-Revo, Revo 3.3, and Summit. These rocker arms provide multiple shock and pushrod mounting positions to allow adjustment of the suspension's progressive geometry without the need to change rocker arms. The more progressive the setting, the more body lean and brake dive is reduced, leading to more responsive handling.